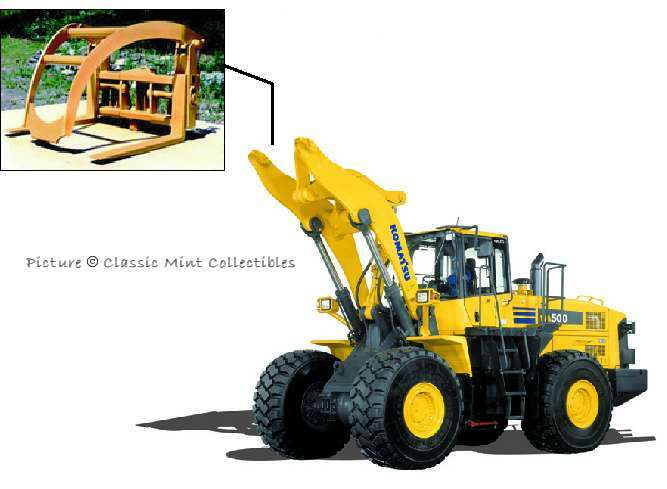 Information from Classic Mint: Each model will come with the respective Rockland implement installed. 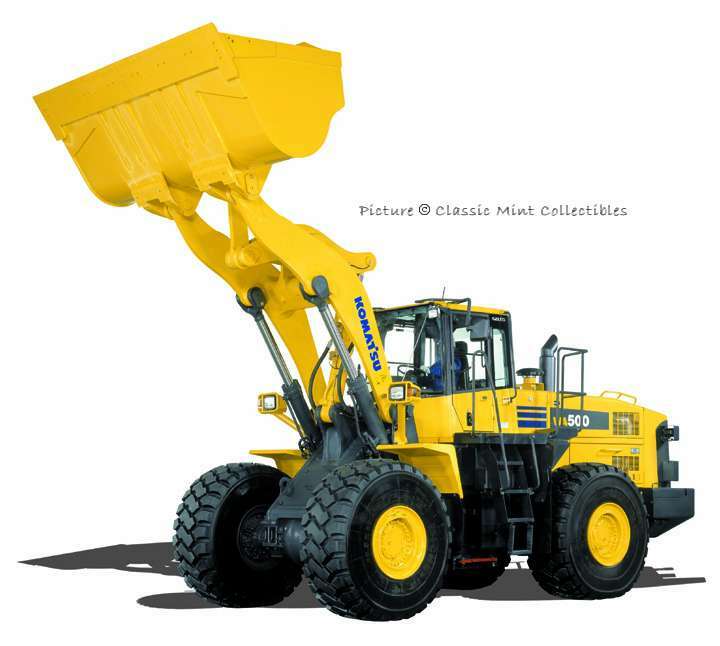 As with all of our previous replicas this model will feature all brass construction and many movable parts such as functional lift and bucket/grapple movements, functional articulated joint, detailed interior and rubber tires. Concept drawings are all we currently have for you as far as illustrations we will provide updated visual materials as they become available. 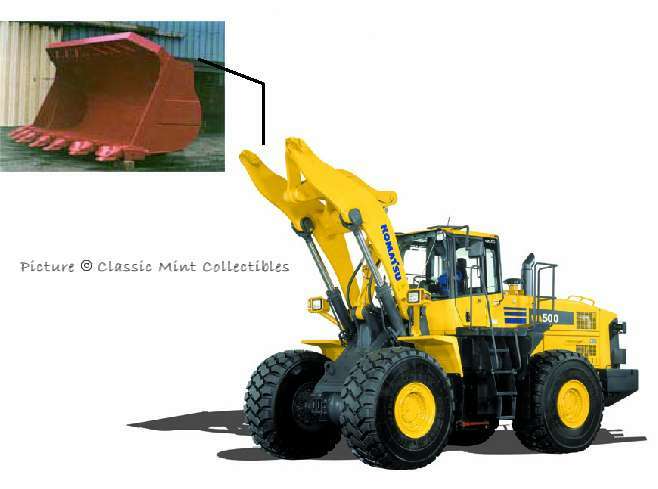 It should be noted that the hard quarry bucket will be painted the same color as the machine and the log grapple will be painted Komatsu dark gray.